Launching a national fundraising event in a country of 320 million people and multiple time zones may seem like an ambitious gamble. But UK charity Comic Relief hopes the first Red Nose Day USA, which culminated on 21 May with a telethon raising over $21m (£13.6m), will prove to be worth the risk. Red Nose Day USA builds on the success of its UK namesake which, since its launch in 1988, has raised more than £1bn to help 50 million people in the poorest communities at home and abroad. The biennial Red Nose Day UK fundraiser encourages people to “do something funny for money” in their school, community or workplace. It concludes with a live TV show and telethon on BBC1, which in March 2015 raised over £78m and attracted 8.5 million viewers. 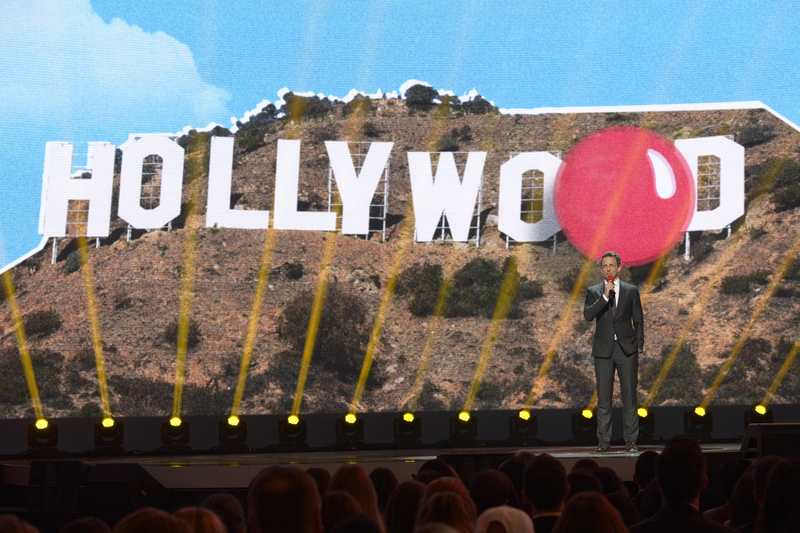 Around 3.2 million viewers watched the inaugural Red Nose Day USA’s slick, three-hour broadcast from New York featuring live comedy sketches, musical performances and pre-recorded acts. The US show also included pre-recorded celebrity reports from the field (Jack Black in Uganda and Michelle Rodriguez in Peru) and household name hosts (Seth Meyers, David Duchovny and Jane Krakowski) to urge viewers to donate during the show. Twelve non-profit organisations in the US and worldwide will benefit from the first Red Nose Day USA, from Boys & Girls Clubs of America to international vaccination organisation, Gavi. Red Nose Day USA is run by Comic Relief Inc as an independent sister organisation of Comic Relief UK – the charity set up in 1985 by screenwriter Richard Curtis in response to famine in Ethiopia. Walgreens – the pharmacy chain with 8,232 outlets across the US – was chosen as exclusive retailer of the campaign’s trademark red noses and other select products from vendor partners such as Mars, Kraft and Coca-Cola. Sales of these items, combined with fundraising by Walgreens’ employees and customers, raised over $8m while embedding the campaign at community level. Bringing a new fundraising brand to market within just a few months meant that social media was a crucial element of the campaign. NBC created a dedicated app which enabled users to add a red nose image to a new or existing photo, then share on Facebook, Instagram or Twitter. Building on this, Red Nose Day USA partner M&M’s asked people to make someone laugh then share their story with the hashtag #MakeMLaugh, in return for a $1 M&M’s donation to Red Nose Day. The campaign hit its $250,000 target and raised $1.25m from M&M’s. Additionally, the Bill & Melinda Gates Foundation pledged $25 for each photo posted on Twitter or Instagram by 1 June with the hashtag #RedNose25, up to a total $1m. Creating a rich source of newsworthy content that could go viral was another priority. “Content is king so we wanted to make the entertainment really strong,” Horton-Mastin added. Telethon night highlights included a Game of Thrones mock musical by Coldplay that has attracted over 7m hits on YouTube, The Voice winner Sawyer Fredericks’ rendition of John Lennon’s Imagine and an acoustic duet by Ed Sheeran and Kermit the Frog of the Muppet Movie song, Rainbow Connection. The strategy appears to have paid off. According to Nielsen’s Twitter TV ratings – which map the social conversation around a telecast three hours before and after the event – four million people across the US saw 149,000 Red Nose Day tweets, making it the third most social TV event of the week, behind only the NBA Draft Lottery and David Letterman’s final Late Show. Other countries including Iceland, Finland, Germany and South Africa have hosted their own events based on Red Nose Day or Sport Relief, usually run under licence from Comic Relief. In Australia, a Red Nose Day has existed since 1987 as the main annual fundraiser for SIDS and Kids, a national charity supporting families affected by infant death. Horton-Mastin said Comic Relief will continue to look at opportunities to expand the brand where there is a giving culture and a TV culture. As the UK begins to assess the impact of Giving Tuesday 2014 – its first annual nationwide generic charity giving drive – US charities could offer some useful insights into success as they enter year three of the same campaign. Launched in the US in 2012 by New York’s 92nd Street Y and supported by the UN Foundation, Giving Tuesday has become the US’s fundraising finale to the post-Thanksgiving retail excesses of Black Friday and Cyber Monday. Each year, thousands of US charities and NGOs piggyback on the still-fledgling campaign, using it as a focus to get individuals and business to donate their money, time and skills to good causes. Kathy Calvin, CEO of the UN Foundation, comments: “#GivingTuesday is a counter narrative to Black Friday and Cyber Monday because it reminds us that the spirit of the holiday giving season should be about community and not just consumerism. But how does this “counter narrative” work for a nation that does not have a Thanksgiving tradition and the related history of retail excess? Would a post-Boxing Day sales campaign not have more resonance and result? Inevitably, social media has driven Giving Tuesday both in the UK and US. According to tweet analysts Topsy, #givingtuesday has racked up eight times as many mentions in the US this year as it has in the UK. This year, charities and their supporters have been encouraged to post photos tagged with #UNselfie (think the still life version of the #icebucketchallenge videos). Other tips include promoting funding recipient story sharing, highlighting the experiences of volunteers, and sharing social media best practices on your blog to encourage others to develop a Giving Tuesday strategy. But, as proponents insist, Giving Tuesday isn’t just about raising money. It’s also about telling people about your mission and raising awareness. Phoenix House, a national organization helping men, women and teens to overcome addiction, asked its networks to write letters of encouragement to the people in its treatment programs. The group had a template letter on its website for people to download, customize and send back to the organization, which then delivered those letters on Giving Tuesday. From its efforts, the group gained a lot of media attention and was included in articles on Mashable and the Huffington Post. US-based nonprofit innovator Beth Kanter comments: “Giving Tuesday is more than just a kickstarter for nonprofits to launch their annual appeals. How many unread emails are sitting in your inbox right now? And how many unread texts do you have? Chances are the former number far outweighs the latter. Because of the urgency of the medium, we tend to respond to texts immediately; emails can be left unchecked (read: ignored) for days, weeks or more. For nonprofits, mobile represents a huge but often underemployed part of their communications mix. 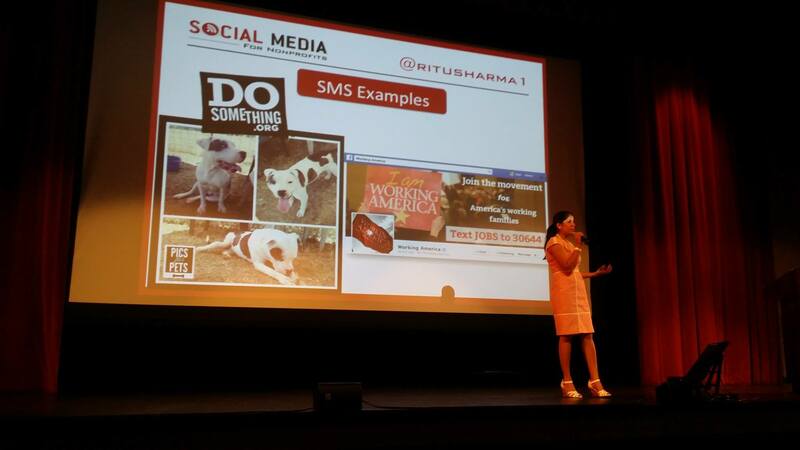 Ritu Sharma is executive director of Social Media for Nonprofits, a US-based organization that brings social media education to nonprofits worldwide. She asserts that mobile is the next evolution in the social and communications space that nonprofits should be preparing for right now. And the figures are compelling. In the US, 91 per cent of the population use a cell phone and 63 per cent only go online via their mobile. Latest industry figures show around 9 per cent has used their cell phone to make a charitable donation (compared to 20 per cent online). According to research by Pew, mobile giving played a particularly prominent role in the aftermath of the 2010 Haiti earthquake. Individual donors contributed an estimated $43 million to the assistance and reconstruction by responding to a text giving campaign. Mobile donations may be beyond the financial or administrative reach for many nonprofits. But Sharma argues that there are “intermediate steps” to mobile comms, to ensure that your organization does not miss out on those users who only access information via their cell phones. For example, is your e-newsletter mobile friendly? “A lot of email newsletters are not automatically mobile friendly,” says Sharma. This is an immediate turn-off for those supporters who access your messages via their phone. She advises to stick to single column content; use smaller/fewer images; use a low scroll and, crucially, keep it short. Sharma cites the Pajama Program and dosomething.org as being among the US nonprofits using mobile effectively to reach out to their supporters and potential donors. As well as using mobile to engage, Sharma says nonprofits can harness this medium for events – from auctions to conference registration.